Golden Bloom is watercolor&ink hand painted set. 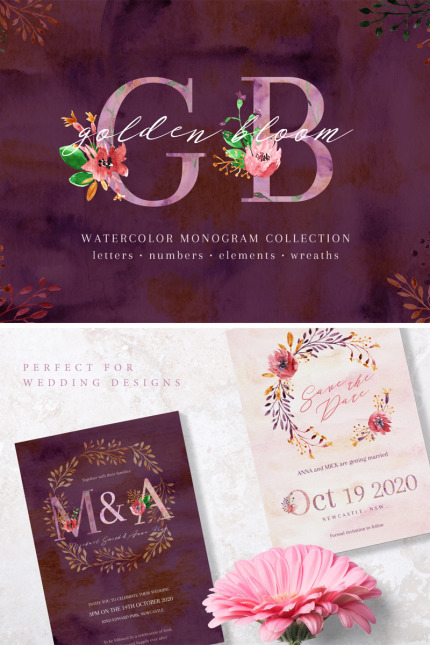 Stylish watercolor monograms are suitable for branding and wedding designs. It looks rich and exquisite. Additional elements open endless possibilities for drawing up cards and invitations, as well as for creating stationary designs in a single style.